Middle Atlantic, a brand of Legrand’s AV division, offers innovative system enclosures, tech-enabled furniture, power products and Wiremold cable management solutions for complete and unmatched AV system support and protection. We invite you to create your own design. With our online configurator, you can build and create customized designs in several easy steps. 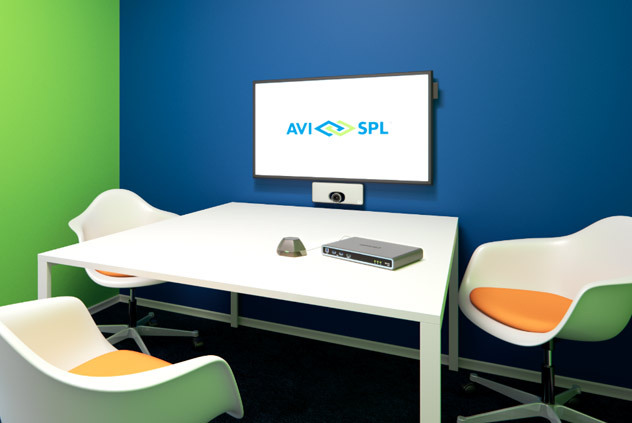 AVI-SPL and Middle Atlantic work together to build, create and design the perfect solution for your install. Middle Atlantic racks & enclosures, furniture, power and Wiremold products have what it takes to provide the most amazing AV experiences. BGR Series Racks – Choose a BGR enclosure for the most space efficiency and strength available, plus the latest options for installation flexibility. VWM Series – The VWM Series is the industry’s highest capacity and most versatile low profile wall cabinet, with comprehensive flexibility to fit system needs today as technology changes. L7 Series Lectern – Joining the L2 and L5 Series for a full suite of lecterns to adorn today’s learning spaces is the L7 Series Lectern – the most elegant solution in height adjustability. C5 Series Credenza – The C5 Series Credenza offering addresses the latest trends in commercial interior design. Perfect for conference rooms, huddle spaces & classrooms, the credenza frame is stocked and ready to ship for immediate integration while your specified finishing kit is manufactured. DC Power Distribution – Design out or remove messy, unreliable, space-consuming wall warts with universal DC Power solutions for devices like extenders, scalers, converters, and media players. Wiremold Products – Wiremold products are available through Middle Atlantic, and together, these product lines provide a flexible and complete set of AV equipment mounting and connectivity solutions.